Leather Seats, 22 inch Aluminum Wheels, Power Retractable Assist Steps, Technology Package, Tri-Fold Hard Tonneau Cover! This pearl crew cab 4X4 pickup has an automatic transmission and is powered by a 6.2L V8 16V GDI OHV engine. Equipped with that strong motor it gets 14.9 L/100 km in the city and 10.8 L/100 km out on the highway according to Transport Canada. Our Silverado 1500's trim level is High Country. 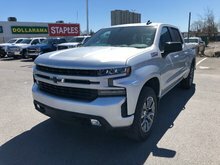 This top shelf High Country SIlverado is as cool as cool gets with amazing capability both on and off road while LED lighting with fog lights, mirror puddle lamps and side perimeter lighting, power up and down tailgate, chrome step rails, spray on bedliner with High Country logo, and aluminum wheels keep you in style no matter where you go. 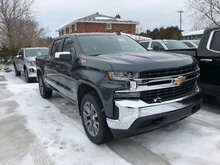 The style and functionality extends to the interior with an 8 inch customizable Driver Information Centre, remote starting, heated leather steering wheel with audio and cruise control, Teen Driver technology, lane change and blind spot alerts, rear cross traffic alert, leather heated seats, heated and cooled front bucket seats, and wireless charging. A next generation infotainment system keeps you connected and entertained with 8 inch touchscreen, navigation, voice command, Apple CarPlay, Android Auto, SiriusXM, Bluetooth, and a premium Bose sound system. 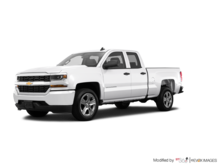 This vehicle has been upgraded with the following features: Leather Seats, 22 Inch Aluminum Wheels, Power Retractable Assist Steps, Technology Package, Tri-fold Hard Tonneau Cover, Safety Package Ii. Buy this vehicle now for the lowest bi-weekly payment of $540.06 with $0 down for 84 months @ 5.79% APR O.A.C. ( Plus applicable taxes - All Additional Fees included ). Incentives expire 2019-04-30. See dealer for details. 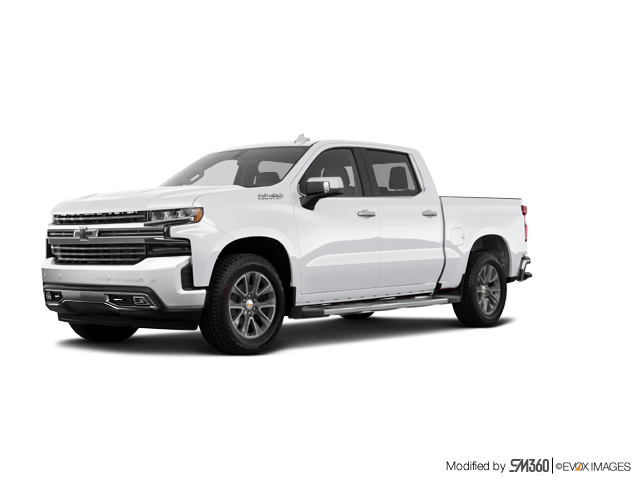 Interested in the 2019 Chevrolet Silverado 1500 High Country - Leather Seats ?